Thank you so much, what should I do? I won our'm very happy. Thank you for your interest. I'm sorry, but you are not the winner. I already notified the winner via personal e-mail and via Facebook. I won, but do not know how to get in touch can you help me? As I said, I'm sorry but you didn't win. I contacted the winner and her prize was already sent. You can read her comment above (the first comment). She is the winner of this giveaway. 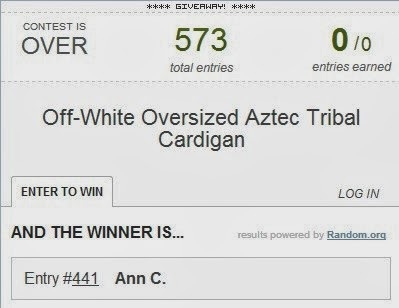 Maybe you won from another blog and you mistake it with my blog?